Big things are coming from the trucking industry in 2019! While the transportation industry is often slow to adapt to new technology, the tides are changing, and it’s expected that further advances will be adapted. While changes and tech for the trucking industry are not yet widely in use, the upgrades are a long time coming. The potential for advances in trucking is substantial, and many of the changes we expect to see are highly beneficial for all parties. While self-driving technology still has its limits, it is at the top of the list for upcoming trucking technology. Currently, semi-self driving trucks have been authorized to operate in Nevada; and it’s likely that other states will begin to follow suit. Self-driving trucks will, of course, still need to be manned. The technology will allow for a resolution to the issue of lack of drivers and help to make trucking safer and more fuel efficient. 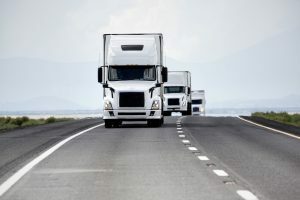 It is already mandatory for all trucks to have an Electronic Logging Device (ELD) to ensure that both companies and individuals are practicing and providing safe workplace environments. As this software advances, it allows for better, more accurate records and provides for better compliance reporting. The term “telematics” is used when describing the ways in which telecommunications and information, and communication technology is integrated into a single unit. This system can be used to send, store, and receive the necessary information to and from trucks regardless of location. When integrated with a GPS system this can allow for a simple to use device that allows for better communication and reporting from trucks irrespective of location. Not only can it help with cost reduction, increased productivity, increasing safety and security, and improved customer service. In most older vehicles these systems are available as an aftermarket upgrade. However, in newer trucks, these systems are often already outfitted. This entry was posted on Friday, January 11th, 2019	at 7:31 pm	and is filed under Trucking News	. You can follow any responses to this entry through the RSS 2.0	feed. Both comments and pings are currently closed.